The bridge has seen a number of problems since it opened in June. 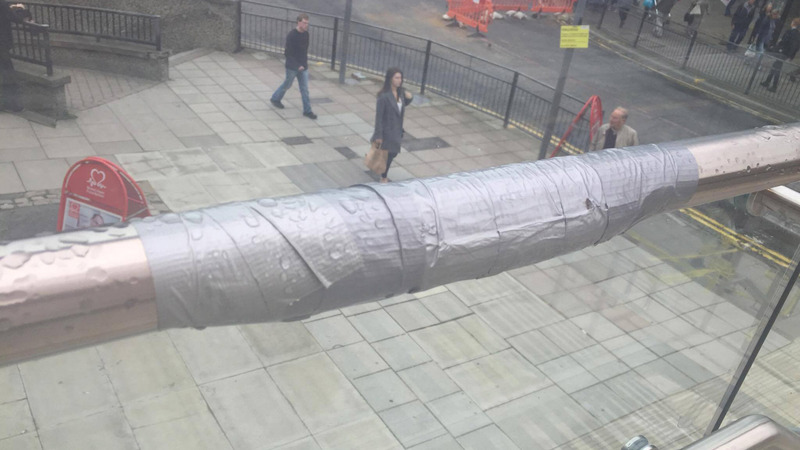 Sections of the £12 million Lincoln High Street footbridge, which opened in June, have once again been taped off for repair works. A number of problems became apparent since the opening of the bridge over the level crossing, including issues with the paving stones and faults with the lift. Just last week, two women and a child became trapped in the malfunctioning lift, leading to a dramatic rescue by firefighters. 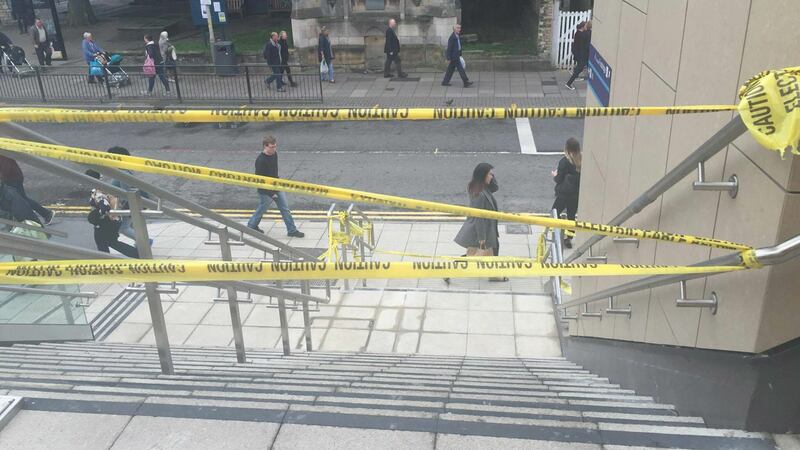 Due to what Network Rail described as “snagging issues” with the paving stones and handrails, the left-hand-side of the staircase, on one side of the bridge, has been closed off with yellow tape on Tuesday, September 20. The lift, which promised alternative access to the bridge has been closed on numerous occasions, with reports that doors were opening and closing sporadically. 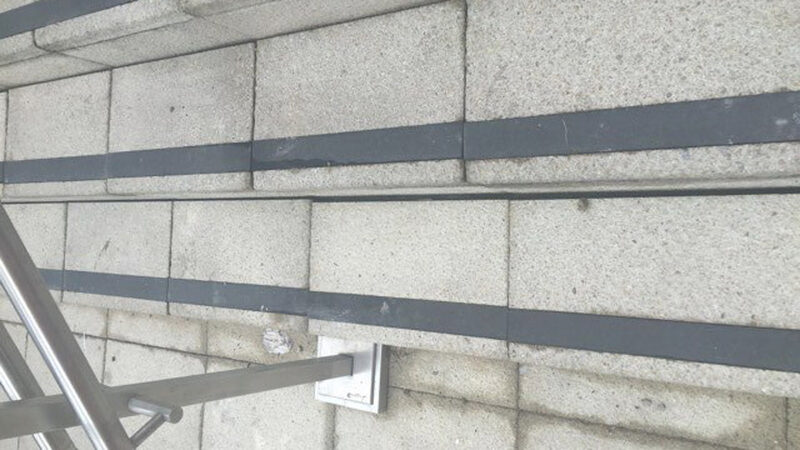 Despite workers relaying the slabs just six weeks after the official opening of the bridge, there are still gaps and issues with the staircase paving. The Lincoln High Street footbridge steps have been closed off so that contractors can fix a number of identified problems. 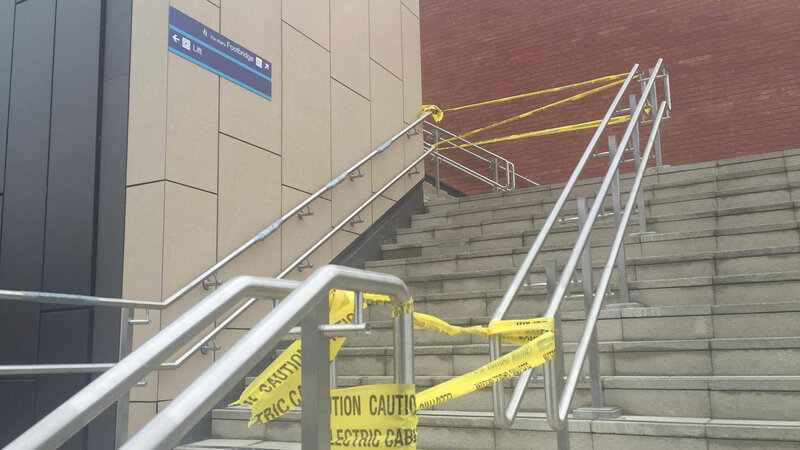 The handrails have had duct tape on them since the opening. It has been suggested that this is to cover sharp ends and joins in the metal. Many Lincoln pedestrians are outraged by the amount of work which still needs doing on the bridge. Cherrie Roberts said: “Pull the thing down and start again using a company who knows what they are doing. Michelle Ruzzack added: “Absolutely shocking piece of construction which was opened to the public before it was finished. “I went over the bridge and there was still tape between the ends of the hand rail where there should be hand rail. “The steps were not set properly and some were loose. 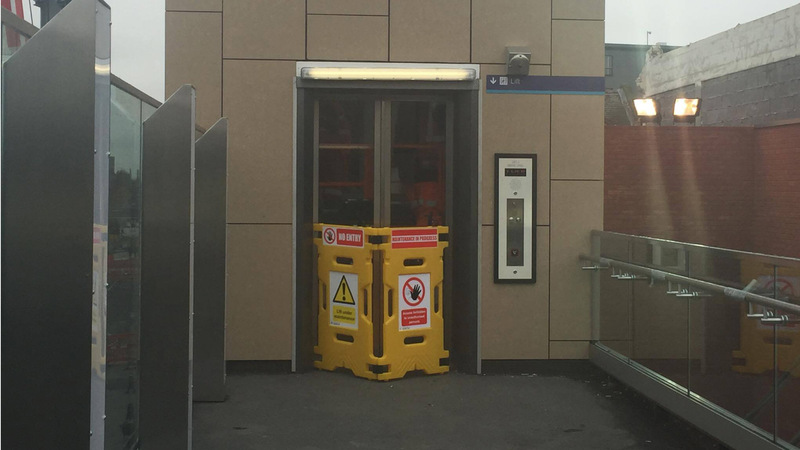 Network Rail said last week an investigation was underway into the cause of lift failures. A spokesperson said previously: “Our teams are currently carrying out ‘snagging’ work on the new bridge on Lincoln High Street. “This is a normal process which takes place after a major piece of construction to ensure that any minor defects which have been found since the bridge opened are rectified by our contractor before they leave the site. “This process will continue for short period until Network Rail is entirely happy that the bridge meets our high standards. Citizen journalists have even taken to the street to hear what people had to say about the standards of the new bridge after hoards of commuters were spotted choosing not to use it.